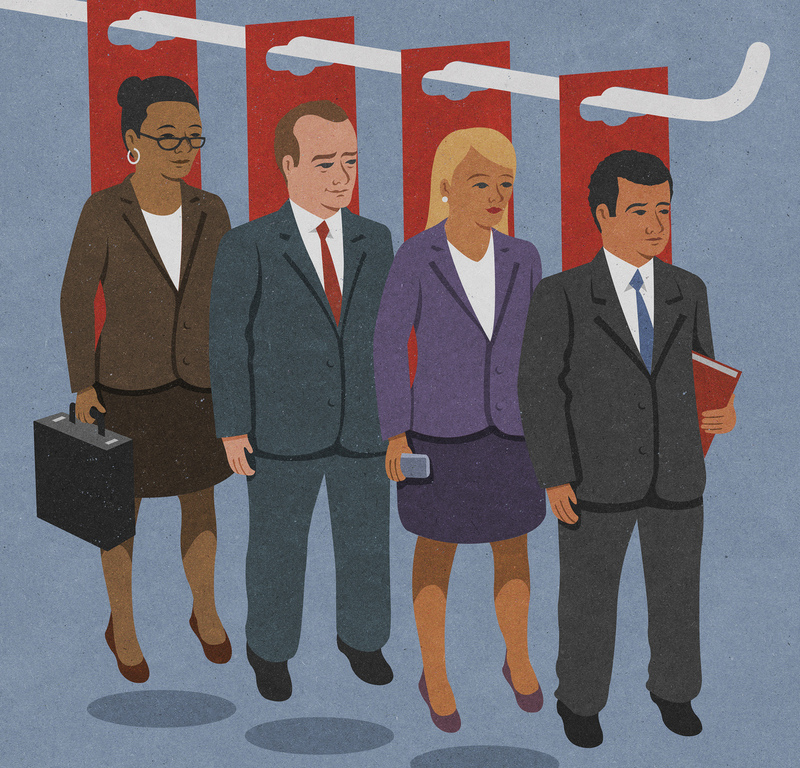 What happens when "diversity" becomes a corporate buzzword? Over at the New York Times Magazine, ambivalence toward capital "D" diversity courses through Anna Holmes&apos; excellent essay "Has &apos;Diversity&apos; Lost Its Meaning?" Holmes, the founding editor of Jezebel and now an executive at Fusion, notes that while corporate odes to "diversity" are de rigeur these days at places like SXSW and fancy media conferences, these lofty pronouncements often deflate back at the office. It&apos;s easy to get execs to say workplace diversity is necessary, and much harder to find examples of success. A big part of the problem, says Holmes, is that we keep throwing the word around without defining our terms. "Diversity" has great approval numbers, even as it&apos;s kneecapped by its own nebulousness. Holmes quotes a venture capitalist whose company has had some challenges in this arena — accusations of gender-based harassment, an overwhelmingly white workforce — but said he remains "deeply committed to diversity," right before quipping, "We have two new partners who are so diverse, I have a challenge pronouncing their names." "Over the past few years, numerous editors have reached out to me asking for help in finding writers and editors of color, as if I had special access to the hundreds of talented people writing and thinking on- and offline. I know they mean well, but I am often appalled by the ease with which they shunt the work of cultivating a bigger variety of voices onto others, and I get the sense that for them, diversity is an end — a box to check off — rather than a starting point from which a more inte­grated, textured world is brought into being." The tech industry has come under fire a lot on this issue, but it&apos;s hardly exclusive to Silicon Valley. Television writers rooms are notoriously monochromatic — a March report from the Writer&apos;s Guild of America found that nearly 86 percent of the people working as TV writers were white. That number is even more glaring when you consider that the most dedicated consumers of the medium are black and brown. To move the needle, some networks have tried to pay executive TV producers to hire a "diverse" writer every season. But as Aisha Harris of Slate writes, that strategy has yielded dismal results: The number of television writers of color has actually trended downward, with candidates of color jockeying for that one seat in the room. "Everyone knows who the diversity writer is," one told Harris. "You&apos;re the one who&apos;s the only one." And, you know, glass houses and all that —newsrooms aren&apos;t doing much better. Across the board, the places that tell America&apos;s stories, fictive or otherwise, stubbornly resist looking like America. Ever since Holmes&apos; and Harris&apos; essays came out, we&apos;ve been wondering: What does meaningful diversity look like? If CEOs want to get serious about addressing the critiques raised in these pieces — if they don&apos;t want to be That Guy — there&apos;s a whole bunch of ongoing, messy new calculations they&apos;re going to have to embrace, or at least get used to. I recently wrote about an example of all this playing out in real life — and a primer on what not to do if genuine workplace diversity is your true aim. A few years back, when the comedian Wyatt Cenac, late of The Daily Show, criticized Jon Stewart, the show&apos;s host and his boss, over Stewart&apos;s impression of Herman Cain — Cenac thought it shaded into racial mockery — the two got into an exchange that was so heated that at the end, Cenac wasn&apos;t sure whether he still had a job. Cenac, who was at the time The Daily Show&apos;s only black writer, says he felt a responsibility to speak up, even if he&apos;d be going it alone. "I think that&apos;s the burden a lot of people have to have when you are &apos;the one,&apos; "Cenac told Marc Maron this summer. "You represent something bigger than yourself whether you want to or not." The exchange soured his relationship with Stewart for the remainder of their time as colleagues. "Bringing in new perspectives" — that oft-trumpeted goal of workplace diversity — will make disagreements like that one inevitable; hell, a lot of people might argue that&apos;s the whole point. But "bringing in new perspectives" — that oft-trumpeted goal of workplace diversity — will make disagreements like that one inevitable; hell, a lot of people might argue that&apos;s the whole point. Diversity can&apos;t be productive unless there&apos;s real thought about how to invite and productively metabolize pushback against accepted norms, because that pushback is going to come. It also means getting comfortable with the idea that efforts to incorporate a wider array of voices might be greeted with a good deal of skepticism, at least at first. When Code Switch initially launched, we got a lot of side-eyeing from people on Twitter who thought our tone — which is immediately distinct from NPR&apos;s "house voice" — was too affected, that we were trying too hard to sound down. 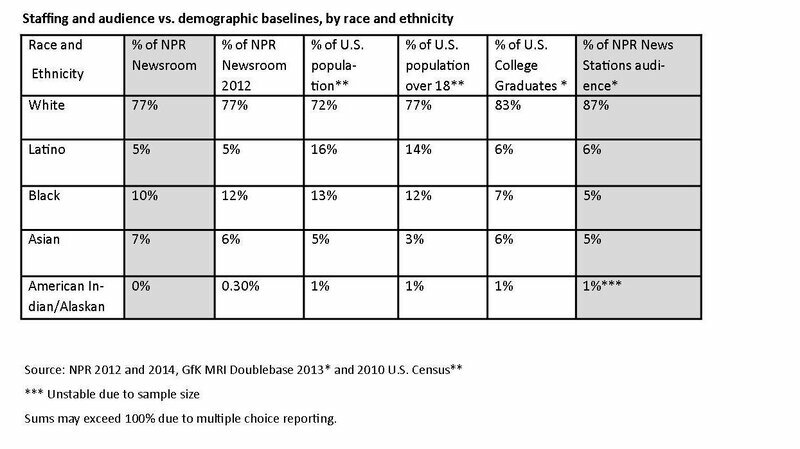 NPR has long been tweaked for its overwhelming whiteness — until we posted our pictures online, a lot of readers assumed we were white, too — so we weren&apos;t totally surprised at being taken for interlopers. Earning trust was going to take time. It&apos;s not unlike what happened when Leslie Jones, a black comedian, was hired by Saturday Night Live after lots of criticism over its track record on black female hires (essentially nonexistent). Soon into her tenure, Jones ticked people off with a now-infamous bit about how she would have had an easier time finding a man as a slave. It&apos;s not hard to imagine that joke going over better on a different show with a different audience, say Chappelle&apos;s Show. For a lot of people, SNL simply hadn&apos;t earned that joke, even if a black woman was making it. A lesson from both of these examples: When you hire people of color to represent a brand with a less-than-gleaming track record on diversity, you&apos;re putting them on the front lines. That means companies need a plan for supporting them through the inevitably rocky "probationary period." On the other end of the spectrum, real workplace diversity also means recognizing the real talent and creativity of your shiny new hires. For example, last month, BuzzFeed&apos;s Tracy Clayton and Heben Nigatu, co-hosts of its wildly popular Another Round podcast (and friends of mine), had a surprisingly pointed and candid sit-down with Hillary Clinton, who&apos;s famously adept at deflecting pointed and candid questions. It&apos;s hard to think of any legacy news outlet sitting a presidential favorite down with young, black women who aren&apos;t traditional journalists instead of a seasoned Washington reporter with an insider pedigree. But the episode has been widely hailed, and it&apos;s a great example of recalibrating the "rules" on who gets to do what, and actually capitalizing on all those "new perspectives" and "nontraditional voices" the folks in charge say they want more of. The bottom line: Having different kinds of people in the room means thinking concretely about different kinds of stressors — and opportunities. It means acknowledging that our workplace cultures were shaped by the people who&apos;ve been in the room for a minute, and now the furniture needs to be rearranged. Some of that rearrangement is literal, like the decades-long fight for lactation spaces in America&apos;s office buildings, or considering whether black reporters covering cases like Eric Garner and Walter Scott might need mental health counseling a la war reporters. Some are less tangible — different cultural references (Empire jokes alongside True Detective memes), different cultural sensitivities (Stewart vs. Cenac) — but no less crucial to make space for.